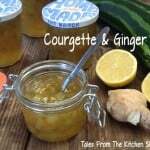 Homemade Stem Ginger is so easy to make & so much better than shop bought. 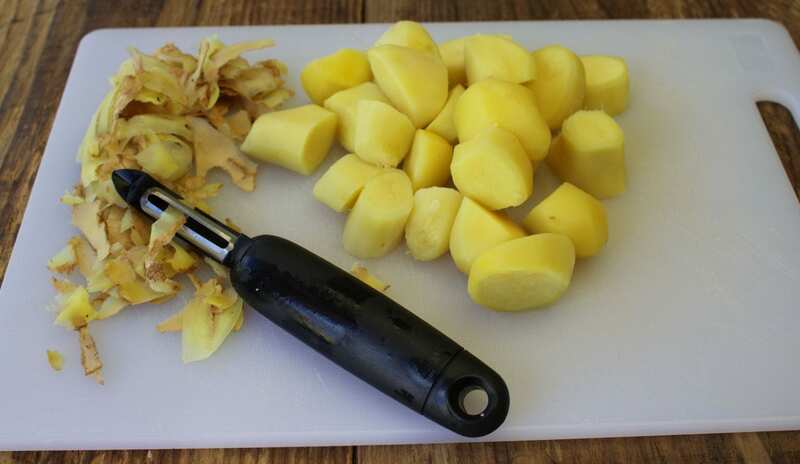 Chop finely & add to ginger cakes, puddings or biscuits for a real ginger hit. The syrup makes a delicious ginger cordial. There’s a slight sense of sadness here at the Kitchen Shed as we pack things away for the winter and wind down the freezer contents. I thought I’d pretty much worked out how to use up all our frozen food until I discovered a bag of ginger which was way too much for a stir fry or curry for two. Seemed to me there was only one thing to do, make some stem ginger and take a jar with us to Guernsey to enjoy over the winter. Stem ginger is much easier to make than you might think – it’s a case of peeling and slicing the ginger into chunks, covering with water and cooking until tender. Although some recipes use an “all in one” approach, I prefer to drain the cooking water from the ginger and use it to make a syrup – this way you have greater control over the quality of your syrup because of the more accurate water to sugar ratio. 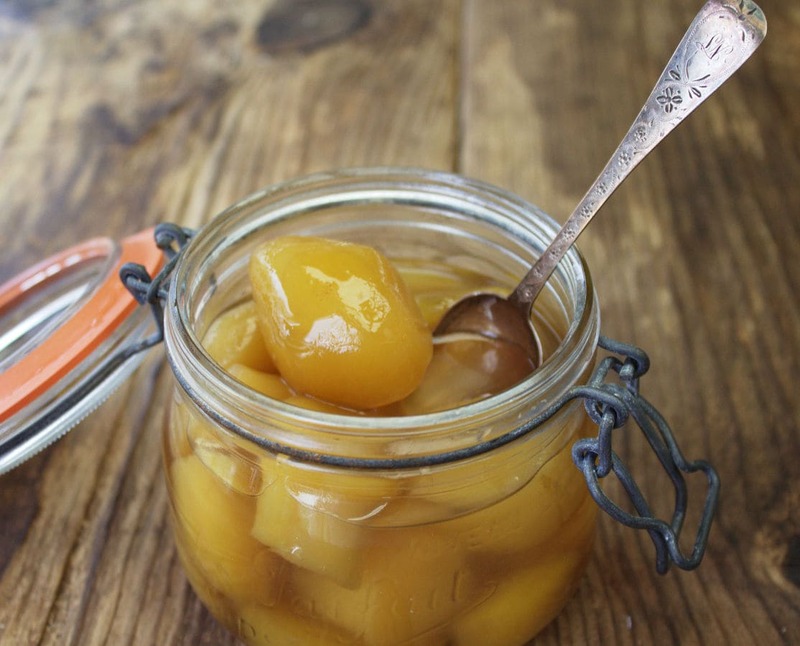 The ginger is added back to the pan with your syrup and simmered for twenty minutes before transferring ginger and syrup into a sterilised jar. The tenderness of ginger stems cannot be guaranteed and some recipes recommend blanching three or four times to tenderise the stems. I’ve omitted blanching as freezing the ginger breaks down the cell structure and tenderises the stems, so I’d recommend freezing your ginger before cooking. Also, frozen ginger is easier to peel so it’s a win win situation. 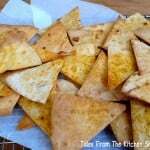 If you’d like to try this recipe for yourself, here it is an easily printable form. Just hit the PRINT button on the recipe card below. Peel the ginger and cut into 2 cm thick slices. 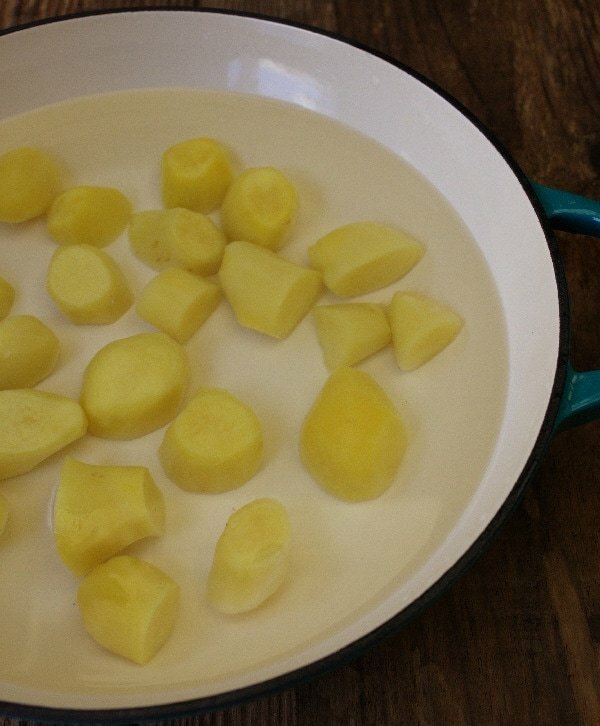 Add the ginger to a pan and cover (by a couple of centimetres) with water. Bring to the boil, cover and simmer for about an hour until nice and tender. Lift out the tender ginger pieces and set to one side while you make a sryup. Measure the cooking liquid and add 150ml back to your pan along with the sugar. Return to a gentle heat and stir to dissolve the sugar - once the sugar has dissolved stop stirring. Bring to a boil and simmer gently for about 15 to 20 minutes until you have a nice thick syrup. 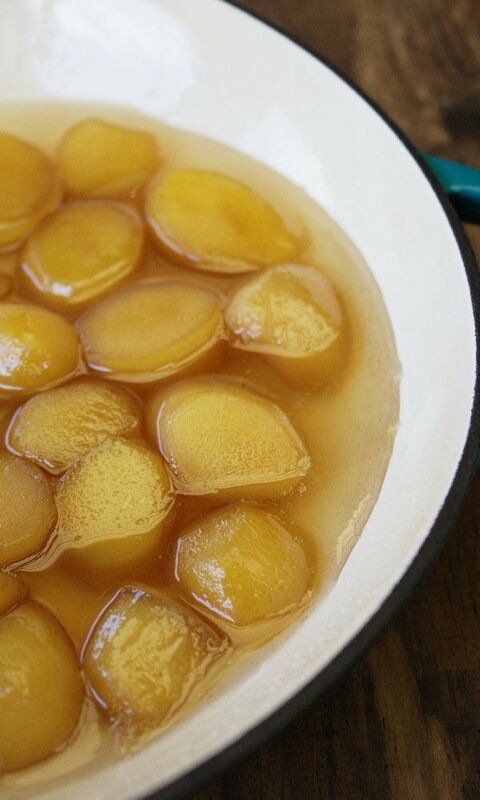 Add the cooked ginger back to the pan and simmer gently for 20 minutes before transferring ginger and syrup into a sterilised jar and sealing. Store in a cool, dry place for up to a year. Does not include optional overnight freezing. Use the syrup in cocktails or like a cordial with a sparkling water. I’m entering Homemade Stem Ginger into Corina’s food challenge Cook Once Eat Twice over at Searching for Spice. It’s a pleasure to share Christine, do let me know how you get on with the stevia. Hi Hilary, cinnamon is a good idea to add to the stem ginger, the flavours go so well together. A small stick of cinnamon would be plenty as it is a strong spice. Thanks for popping by and do let me know how you get on. I have been boiling my ginger pieces for two days. They are not plump and yellow rather dark brown and hard. What am I doing wrong? Hi Ulrika, that does sound strange. Maybe it’s the fresh ginger you are using, the older ginger is tougher but freezing it usually tenderises it. It’s best to bring the ginger to a boil and simmer gently for an hour, so boiling for 2 days may have overcooked the ginger. The only thing I can think of besides the ginger is that if you added sugar to cook the ginger, sugar does tend to harden if added before the ginger is nice and tender. Hope this helps, do let me know how you get on. Hi Sarah, I really wonder if the roots you can buy in the supermarket are tender enough because I had the same experience. I will try again, freezing for a few days before the cooking. Thanks for this suggestion. You’re welome Graham, let me know how you get on. Hello Sarah, do you keep the stem ginger refrigerated once made and how long does it keep? So glad I found this. I have hunted everywhere here in Los Angeles for stem ginger with no success and could only find it online. Americans have no idea what it is. I can’t wait to make my own batch now. Thank you! Hi I was just wondering if the ginger needs defrosting before starting this recipe? It does look delicious. Also how long does it keep for unopened? I love stem ginger and hadnt thought of making my own either. If I can find the time will give it a try if not before Christmas then after. Thanks Jacqui, if you love stem ginger you’ll love homemade as you get a much purer taste. Do let me know how you get on. Thank you for sharing! I love this idea! Well, I’m so very glad I saw this post on #cookonceeattwice. 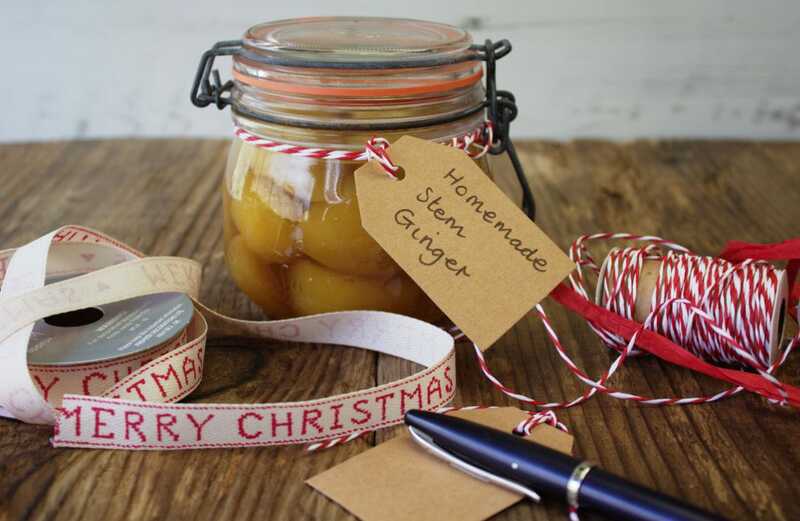 I love the idea of making your own stem ginger and I’ve now learnt you can freeze ginger – wow! What brilliant Christmas gifts these would make. Thanks Choclette, glad you saw the post on #CookOnceEatTwice. The ginger grates much more easily when it’s frozen too so it’s a win win situation. This is pretty cool and not too complicated to do. I wonder what is the flavor like? Thanks Boris, the flavour has all the ginger fruitiness and heat with a delicious sweet finish, perfect for ginger cookies or a cake. 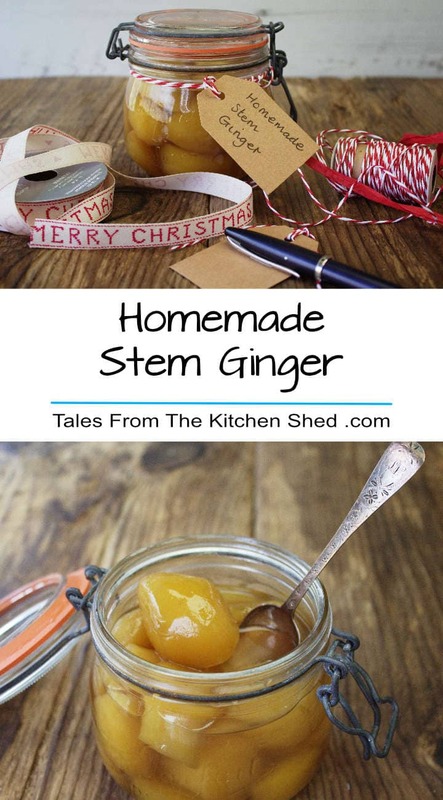 Such a lovely idea to make your own stem ginger. It would make such a great gift. I love how easy this is to make Sarah. I love stem ginger it has a great flavour and clearly homemade would have an amazing flavour. great tip too about freezing the ginger root first. Definitely going to try this. Pinning. This looks so easy to make. Much easier than buying stem ginger in and you know exactly what’s in the jar! Thanks Candace, it is so easy to make, I think people are put off making it because they think it’s a difficult process. I bake a lot using stem ginger, this is such a brilliant idea. Once our kitchen has been refitted I will definitely be making this. Great tip about freezing first too. I’ve found that with blackcurrants, freeze first and it cuts the jam Making session in half! Brilliant post x. This is so clever! I have never thought about making it before. I’ve never even stopped to think about how it would be made ;)! Thanks for sharing. I would have never have thought of making this myself. 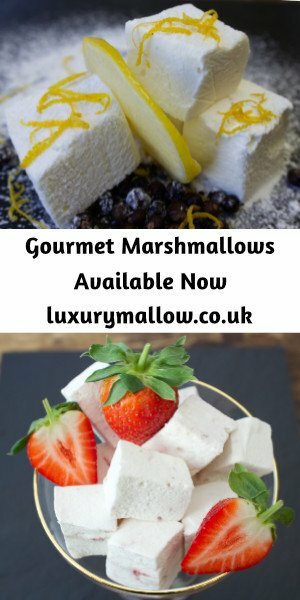 I might make some for my Mum! Thanks for stopping by Louise, let me know if you do get time to make some for your Mum.